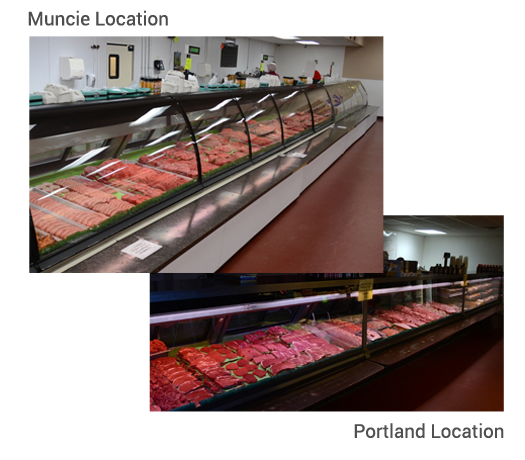 We have many special cuts you will not find in the grocery store and all cuts are of the highest qualtiy and hand trimmed to our exacting specifications. 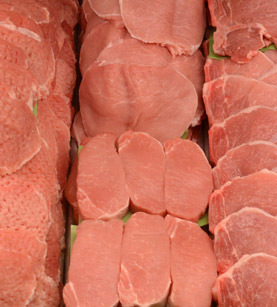 Most of our beef products are rated in the top tier of the USDA Choice Grade taking into account characteristics such as marbling, texture and maturity. We have a large selection at both our Portland & Muncie locations and would be happy to help you with any special requests you may have.